Q. 1. What is the Whole Process for IAS Exam 2015? Answer. 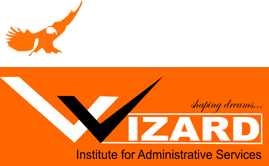 Indian Administrative Service is Premier Administrative Service in India. Union Public Service Commission (UPSC) conducts the Exam for this service. Exam for this service is conducted in two stages. First stage exam is called IAS Prelims Exam which is conducted to screen the candidates. Those who qualify first stage (IAS Prelims) Test are called for IAS Main Exam. Generally around fifteen times candidates of notified vacancies are called for IAS Main Exam. Notification for IAS exam was released on 22.02.2017 and candidates had to apply up to the 17.03.2017. IAS Prelims Exam would be conducted on 18th of June 2017. Union Public Service (UPSC) also notifies syllabus of IAS Prelims in advertisement. Candidates must hold graduation degree. Candidate who have appeared in qualifying degree is also eligible for this exam. IAS Prelims Exam consists of two papers those are General Studies Paper I and General Studies Paper-II (CSAT). CSAT means Civil Service Aptitude Test. IAS Prelims Paper II CSAT contains 80 questions of 2.5 marks each. Candidates are tested rigorously on areas of History, Economics, Polity, Geography, Environment, Science and Technology in General Studies Paper I.
Comprehension, basic numeracy, decision making and English in General Studies Paper II CSAT. Those who qualify the Preliminary exam proceed to IAS Main examination. IAS Main exam would start in month of 28.10.2017 and duration of exam would be five days. Main Exam consists of Language Test (English and one Indian Language), Essay Writing, General Studies I, General Studies II, General Studies III and General Studies IV, and Optional Paper I and II. Those who qualify the Main (Written) Exam are called for interview. Generally two times candidates of notified vacancies are given call for interview. Interview will be conducted in month of April –May 2018.